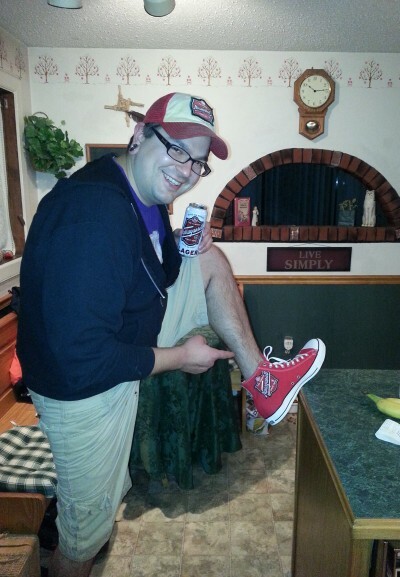 All Dave wanted for Christmas was a pair of ‘Gansett shoes. 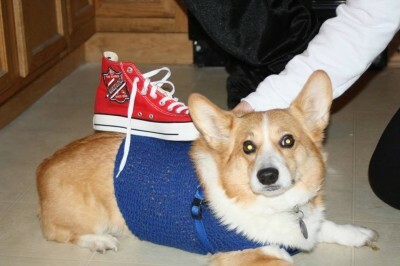 So Brittany thought it would be great if the shoes were from Converse. 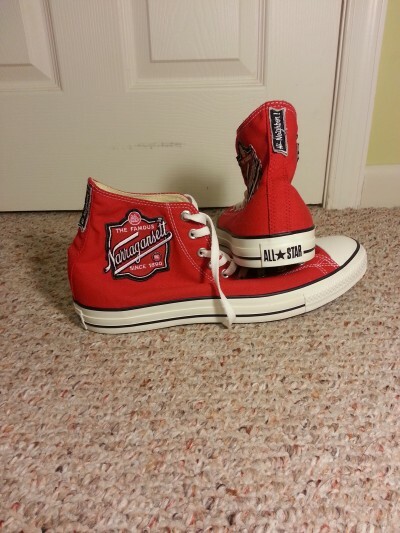 Their classic Chuck Taylor All-Stars are from Massachusetts after all. 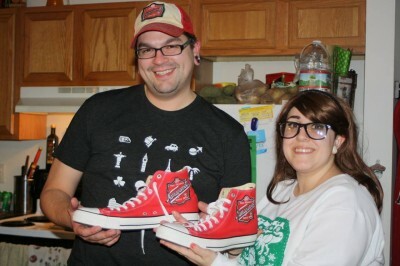 Since Dave loves both red Chucks and ‘Gansett, Brittany went out in search of a pair. With no luck she called ‘Gansett one day asking why these aren’t an item yet. Since ‘Gansett isn’t in the shoe business, this product really never came about. However, ‘Gansett does make apparel to increase the branding of their famous beer and has several patches for shirts and hoodies. So Brittany thought these patches could make magic happen. 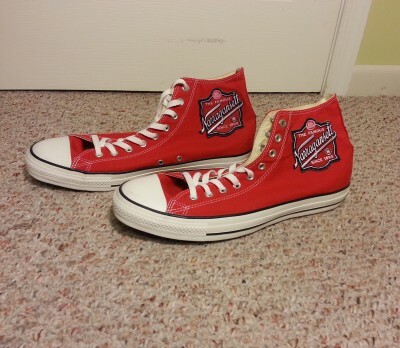 She would sew them onto a new pair of red Chucks. 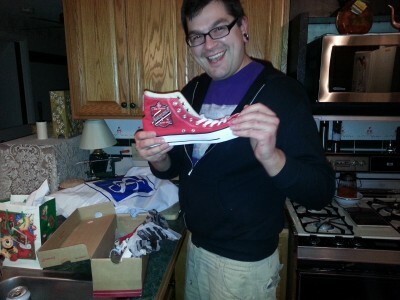 To Dave’s surprise on Christmas morning he opened a box of what he thought were going to be ordinary Chuck Taylors. 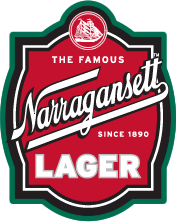 Nope, they were logo’d with the ‘Gansett patches. Pretty much the best gift ever!